Supply Chain Strategy and Management – Each stage in the supply chain represents a risk and a cost. Devising the correct strategy makes the chain resilient and safeguards your business. Distribution Network Analysis – Changing how your products get to customers and locations where they are stored/staged is a game changer for many businesses. Transport Strategy – Optimising everything from fleet usage to routing and load sizes extracts the maximum value for the lowest cost. Warehouse Design – Reduces cycle times and fulfilment costs for this expensive asset, while maximising space and labour productivity. 1) Faster deliveries – Speed of delivery is now a selling point and an important differentiation factor. 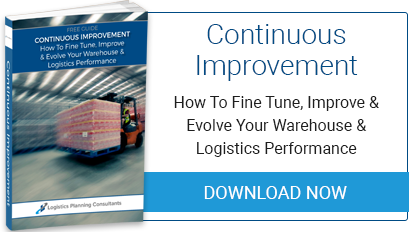 You impress the customer and retain their business when your warehouse and logistics consistently deliver accurately and on time. Retail businesses also win plaudits on social media and review sites. 2) Growth potential- Being agile and responsive to market demand builds new sales avenues. Doing so needs facilities that can adapt at speed. Well-run and efficient logistics and warehousing operations are key to achieving this. As an established logistics consultancy, we have the expertise and experience to help you maximise your operations. 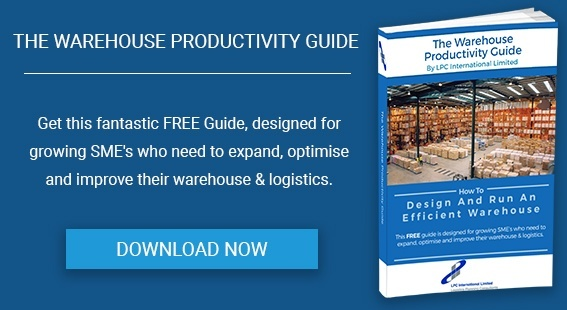 Use the valuable information in our free Warehouse Productivity Guide - How To Design & Run An Efficient Warehouse as a free starting point. To speak to us directly please call 01285 640038.